In San Diego, if you are craving a good tortilla there are listless places to get your hands on one. I mean it sits on the border of Mexico, it would just be wrong if tgood ortillas in San Diego weren’t plentiful. 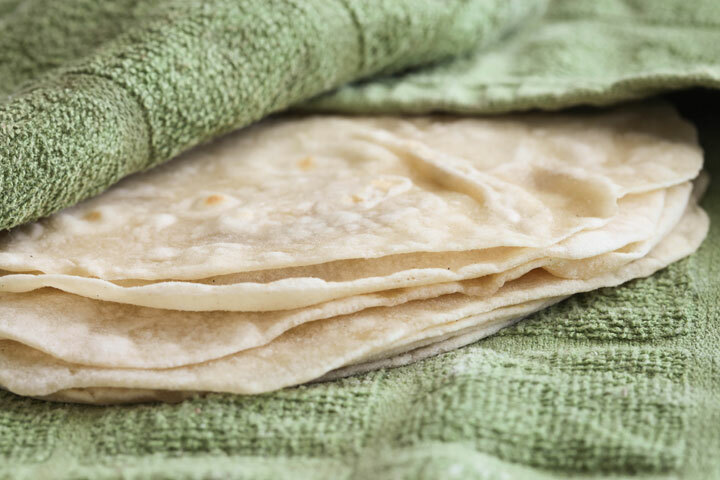 You can even buy decent uncooked tortillas in the grocery store and take them home and make some fresh for yourself without having to lift a rolling pin. This is not the case in Puerto Rico. The only thing on the shelves at the grocery store are those cardboard-like Mission brand tortillas and the likes there of. Call me picky, but I can’t bring myself to buy something that I know I’m going to immediately regret putting in my mouth as I suffer through the dry, stiff wrapper to get to whatever I decided to throw in the middle. Simply not worth it. Fortunately though, getting my hands on the necessary ingredients to whip up a quick batch is no problem at all! Tortilla’s are super simple to make and cook up in a jiffy. The hardest part is rolling them into an actual circle and making sure not to over cook them. That and to avoid not eating them all! I was feeling photographically motivated so I left my comfort zone and actually snapped off a couple of shots of the process for you guys too. Enjoy! 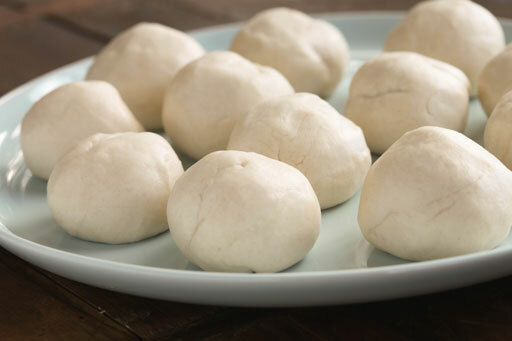 The dough balls needed to take a rest. Rolled and ready to hit the pan! Amazing! We’ve made corn tortillas before but not flour. Although, I’ve made piadina, which are sort of like Italian tortillas. 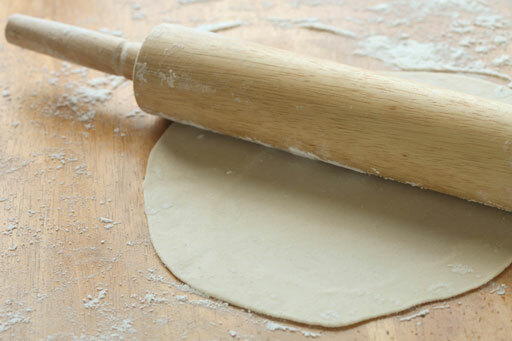 All the Hispanic people I know (and I know A LOT), use baking powder in their dough. I’m surprised you don’t, and that you use hot water. We always use warm. Goes to show you, there’s more than one way to cook the goose.